Healthcare Laboratory Informatics Market size is set to exceed USD 2.2 billion by 2024; according to a new research report by Global Market Insights. Industry manufacturers are shifting from paper-based processes to electronically executed manufacturing operations in order to increase production quality and efficiency. Configurable solutions that manage plant production process, quality and maintenance activities are delivering desired results. The introduction of cloud-based solutions will improve configurable abilities for specific lab needs, reduce costs, and stimulate market growth during the forecast period. Increasing volume of data and its real-time integration and collection will drive demand for healthcare laboratory informatics solution. Technological advancements in sequencing and data analysis will enable faster and real-time result generation, thereby propelling market growth. 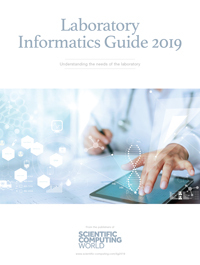 Growing influence of healthcare informatics that provide improved convenience for formulating business strategies will drive healthcare laboratory informatics market. Laboratory information management systems is estimated to reach USD 825.6 million by 2024. High growth rate is attributable to the development of advanced designs to meet the increasing need of biobanks, other healthcare settings and life science industries. Furthermore, easy data maintenance and reduction in data interpretation errors will further strengthen segment growth. Cloud based solutions will grow at CAGR of 8.8 per cent during the forecast timeframe. Cloud technology facilitated labs to streamline operations and save resources, guaranteeing maximum user satisfaction. Cloud solutions are helping biobanks in managing sample and patient data. It is now becoming part of clinical, diagnostics, testing and research laboratories worldwide. Service segment is estimated to reach USD 1,484.0 million by 2024. High growth rate is attributable to development of technologically advanced solutions to meet specific needs of healthcare sector. Furthermore, growing need for consulting services and increasing adoption of cloud-based solutions will further strengthen segment growth. Pharmaceuticals segment is expected to grow with CAGR of 8.0 per cent over the forecast period. Growing investment in R&D activities leading to generation of huge volume of experimental data will lead to increasing inclination of pharmaceutical companies towards laboratory informatics solutions. Cloud services offer Pharma companies the ability to increase their data storage as required, eliminating the limit imposed by on-site storage, thereby driving segmental growth. Germany healthcare laboratory informatics market will grow at 7.5 per cent CAGR across the projected timeframe. Growth is attributable to demand for cost-effective workflow management systems and technological evolution related to laboratory informatics solutions. The major factor promoting the development of the laboratory informatics market is increasing adoption by biobanks for LIMS solutions along with the rising demand for integrated healthcare solutions over the forecasted period. Japan healthcare laboratory informatics market will reach USD 168.1 million by 2024 owing to growing implementation of solutions by biobanks coupled with the rising demand for integrated healthcare laboratory informatics solutions. According to the National Bureau of Asian Research, Japan is one of the leading country in technology innovation as well as in R&D spending. The introduction of technologically advanced software solutions and its widespread acceptance by the healthcare IT providers will impede the growth. Some of the prominent players involved in healthcare laboratory informatics market are Abbott Informatics, Agaram Technologies Pvt Ltd, AgileBio LLC, Agilent Technologies, CSols Inc., Genologics, ID Business Solutions Ltd., Infosys, LabLynx, Inc., LabVantage Solutions, Inc., LabWare, PerkinElmer, Inc., Tech Mahindra, Thermo Fisher Scientific and Waters Corporation. These firms adopt strategic initiatives including new product launch, mergers and acquisitions and geographical expansion. Laboratory Information Management System (LIMS), Electronic Lab Notebook (ELN), Scientific Data Management System (SDMS), Chromatography Data System (CDS), Laboratory Execution System (LES), Others, Healthcare lab informatics.